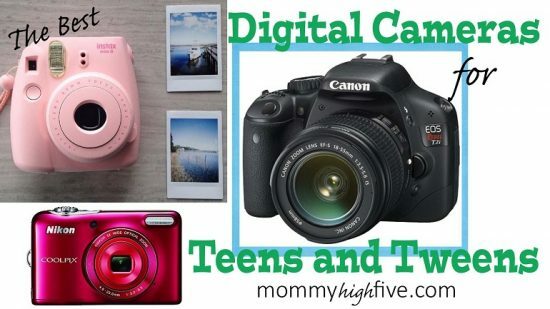 Want to buy a good digital camera for your teen or tween but don’t want to spend a fortune? Here’s a look at our favorite budget options. My 13-year-old daughter has been begging for a digital camera for her birthday. She loves spending time with her friends, and she wants a way to save all the memories they are making together. Whenever we are out together she uses my camera, but I haven’t allowed her to use it without me. I think she is finally old enough to have a real camera of her own. I wasn’t sure how much of an investment I wanted to make in a camera for a teen. Yet, I thought it was important at this age to give her a real camera to see if she wants to practice her craft. If you’re in the same boat as me, here are my thoughts on a few digital cameras that would be good for tweens and teenagers. What Makes A Camera A Perfect Fit for A Teen or Tween? Price. What is your budget? 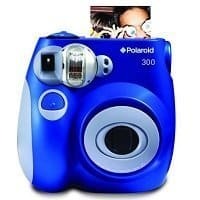 You can spend less than $100 on an instant camera or a point and shoot all the way to well over $1000 for DSLR cameras with a lot more features. Interest level of your teen or tween. Does your child just want to be a photographer or just take a few pictures? Ease of use. How easy is the camera to use? Will your child be able to figure out the different features and settings? Features. What features does your teenager feel is most important? Do they want instant pictures, or maybe they want to be able to take pictures at night? Keep their wish list in mind as you look through these reviews. Size. How big is the camera? Can it be kept in a pocket or in a purse? If your 10-year-old is going to carry a camera around, it probably shouldn’t be be very big. Sharing options. How easy is it to share pictures? Teenagers love to share pictures they take, and some cameras offer Wi-Fi and Bluetooth capabilities to help share pictures. These 11 digital cameras can be a great fit for your teen or tween. 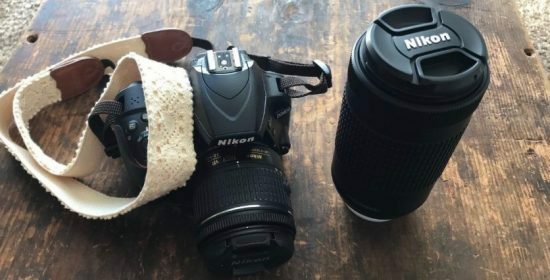 Whether your 15-year-old is ready to try out their hand at photography, or your 10-year-old is ready to get their first digital camera, we have a great camera for you and your budget. 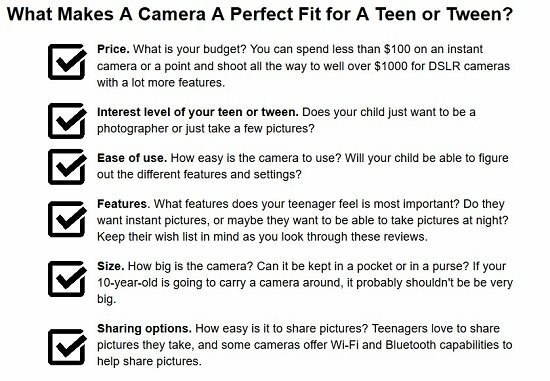 Not every teen is ready for a DSLR camera, but use our free camera checklist below to see what your teen needs. Purchasing a DSLR camera for your tween or teenager can be a daunting (and expensive) task. Still, the prospect of them starting their lens collection and understanding how and when to use that collection is one of the things I wanted most. 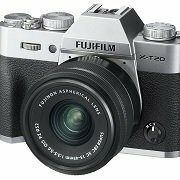 If you are looking to save some money, you might want to look into our suggested options of buying an older style body or buying a certified refurbished camera. These three cameras are perfect for the budding teen photographer. Buying a DSLR Camera can be an expensive and rewarding experience for you as a parent. 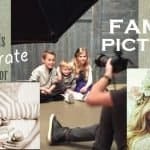 They are great for teaching your teen or tween responsibility and take great pictures. 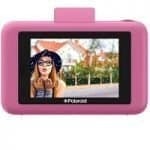 This is our recommended camera for your teen or tween. The Rebel T6 has Full HD 1080p Video Recording at 30 fps. This is important because photography and journalism need videos as much as pictures. Some of my other favorite features on this camera are the high performance optical viewfinder, the Wi-Fi capability with NFC. My teen has loved the experience of using this camera for his high school photography class. This is a great camera to learn on. While it isn’t as easy to use as a point and shoot, it has the bells and whistles you need to take good pictures in many settings. I know what you are saying–a couple hundred dollars is A LOT of money to budget for a camera, but as a hobby, this is less expensive than music or sports for your teen. Ok, ok. I know spending hundreds sounds like a lot of money for a camera for a teen or tween. However, this is a DSLR camera, and you’ll be hard-pressed to find a better price on one. It is perfect for a teenager who is serious about photography. The Nikon D3500 has 24.2 MP and a NIKKOR 18-55mm lens with autofocus to give your photos clarity and detail. This camera is great for fast action photos and low light images. The 1080/60p Full HD video will have your child jumping up and down. They can make time-lapse or slow motion video. No need to worry about uploading photos with this camera. It’s equipped with Nikon SnapBridge, which automatically transfers your photos to your smartphone or tablet. Additionally, it works with Nikon Image Space, a cloud storage which allows you to store and share images. 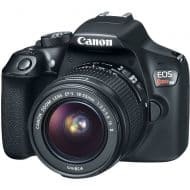 There is a reason that this DSLR (digital single-lens reflex) camera is the best selling digital camera on just about every site. This camera and versions of it have been around for years. The T7i is an upgrade from the T6 above. Upgrades include longer battery life, Bluetooth, more scene modes, and an increased number of focus points, to make photos and videos even more clear. What makes this camera better than the other DSLR cameras on this list? The added upgrades, for one. Also, Canon cameras are more user-friendly than other brands. They are easier to learn on and will result in a less frustrated teen. That’s worth a lot. A camera that is easy and fun to use will be one your teen will actually want to take pictures with. This camera is the least expensive of the good mirrorless DSLR cameras, but is still pretty expensive. This camera looks and feels like a professional camera and has the cost to go with it. Look, this might be too much for me to spend on my teen to start with, but this is a fantastic camera. If you have the money and want a lighter camera that takes pictures as good as the bigger boys, this is it. What is a mirrorless camera and why is it advantageous for a teen? Generally mirrorless cameras are very similar to high end DSLR, but because of the mechanisms involved in the mirrorless cameras, they can be significantly smaller for the same quality of photo. A DSLR camera needs both a mirror and a prism thus allowing a mirrorless camera to be lighter. If you want more info on mirrorless cameras visit Wikipedia’s mirrorless camera page. This isn’t the best action photography camera out there, but the video is definitely at a high level for an up-and-coming social media star. In addition to the kit lens for the Canon models, consider purchasing the Canon EF 50mm lens nicknamed the “nifty fifty”. It’s amazing for portraits, night shots, and action shots. If you want to go even further, consider purchasing a telephoto lens to really have the option to zoom in. By combining these lenses with the older body style, your teenager will be able to take some amazing pictures. The only downside to a camera like this is that is more bulky and heavy than a “point and shoot camera”. While this camera takes amazing pictures, sometimes the bulk and weight of it may deter a tween or teen from wanting to take it on an outing. Still, in this day and age with everyone having a phone for that option, it is good to have a camera they can truly practice on. Consider purchasing an older body style that takes great pictures for around a third of the price of the newer models. If it were me I’d go with something like the Canon T4i, or a refurbished Rebel T6 Camera. They work great and take amazing pictures. This would work great along with one of our budget college laptop picks. Don’t be afraid of a refurbished model for your kids. They are a great way to get a better camera for less. Refurbished models are tested by the manufacturer and work like new. Refurbished options are available online for everything from a DSLR to a point and shoot. It can be a good way to save money, but be careful and check retail prices as well. Some online sellers try to pass off the refurbished price at nearly the same price as the MSRP. 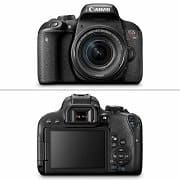 A good example of a refurbished camera would be the refurbished T6i which right now you can get for about $100 less than a new one. This is the classic point and shoot model that many of us have used before. It’s compact and easy-to-use. 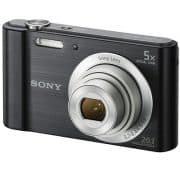 If you’re looking for an easy to use automatic, but digital camera, the Sony DSCW800/B is a good and cheap option. 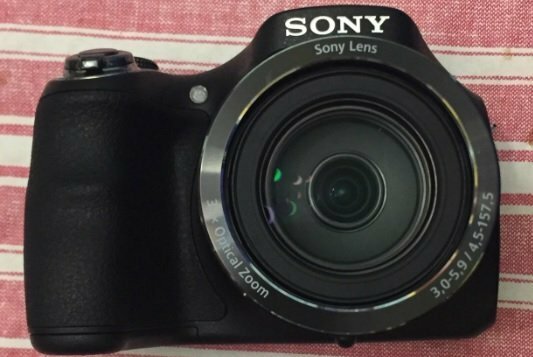 Sony is a great brand in electronics, and this camera is a good buy if you’re just looking for an inexpensive point and shoot option. It has a large display screen on the back and is lightweight and compact enough to fit in a small purse or backpack. The price is something I would be comfortable with for a first camera. I had a Sony camera very similar to this when I started college, and it was great for capturing memories before the days of cell phone cameras. Since I’m not quite ready to give my daughter a smartphone, this fits her needs perfectly. I have a friend who is an amazing photographer and her daughter has picked up her skills. If I were looking for an option for someone with a stronger photography background and needed something more advanced they could learn on and take great pictures, I would choose this. This camera is great for a beginning photographer. It’s an easy to use point and shoot model with some fun features. The 720 HD video option is something every teen or tween will enjoy. A built-in microphone makes the audio crisp and clear. An optional video cable allows you to connect the camera to a compatible TV so you can view your videos on the big screen. 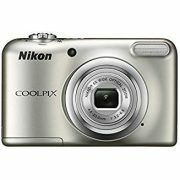 With 16.1 MP and 5X optical zoom, the CoolPix A10 takes good quality, clean photos. 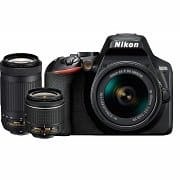 Even better, it comes with a NIKKOR lens and a CCD sensor to capture the best images. While I don’t usually choose electronics that require regular batteries for myself, for a teen or tween it is a nice option. The kids don’t have to remember to charge the camera. Simply put in 2 AA batteries and you are ready to go. 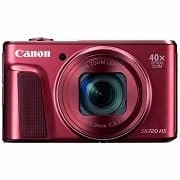 If your kiddo is interested in sharing photos, the Canon Powershot ELPH190 is a perfect choice. It comes with built-in Wi-Fi so images can be shared to social media directly from the phone. You can also save photos to an online photo album to be shared later. If that isn’t easy enough, the Powershot ELPH 190 also comes with built-in NFC (Near Field Communication) Technology, which allows you to touch your camera’s NFC icon to any Android device and automatically share the photos. Did I mention that this camera also takes fantastic photos? It works well even in low light. The 20MP sensor along with the DIGIC image 4+ processor increase processing speed to give you sharp, unforgettable photos. Other fun features kids love to experiment with are Fisheye Effect, Toy Camera Effect, or chrome. These change the photos to have a quirky, fun, or colored look. 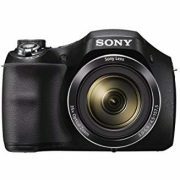 The Sony DSCH300/B is a steal at this price point. You don’t find this many great features in most cameras this inexpensive. The 35x optical zoom with a professional lens helps you get closer to your subject than you could have imagined. The Super HAD CCD sensor ensures precise images. The Smile Shutter feature detects a smile and takes the photo when smiles are at their best. Party Mode automatically adjusts lighting in any situation for clear, well-lit images. Worried your teen or tween will be overwhelmed with all these features? The Sony DSCH300/B is actually quite simple to use. The Easy Mode option allows you to minimize the number of options showing up on the menu. Then, as your child becomes more familiar with the camera, he or she can experiment with various features. If you want bang for your buck, Canon Powershot SX720 could be the one for you. The specs and features on the Powershot SX720 are very impressive. It has 40X optical zoom with Intelligent Image Stabilization as well as 20.2 MP with CMOS sensor with DIGIC 6 Image Processor to give precision images in any lighting. Let’s be honest. Your teen or tween won’t care to hear details about all the features. What they want is video…GOOD video…excellent pictures, and the ability to share their videos and photos with their friends. The Powershot SX720 has all of these covered. A 1080 Full HD video will capture every exciting event. Wi-Fi and NFC capabilities allow quick and easy sharing of both videos and photos. This camera is Apple and android compatible. Several filter options allow your budding photographer to explore or turn on the auto filter to do it for you. The Hybrid Auto records 4 seconds of video when a still photo is taken and turns it into a HD video that can be made into a highlight reel. 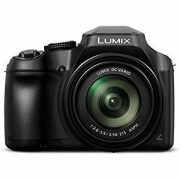 Check out the Panasonic LUMIX FZ80 if your teen or tween wants a camera with fantastic video and high-quality photos. In this price range, you won’t find much better. Enjoy 4K video, which has up to 4 times the resolution of standard full HD. The 4K Photo burst records up to 30 photos per second. Then you choose which of those photos you want to keep. 18.1 MP sensor resolution plus 60X optical zoom mean great detail in your photos. Fast and accurate focusing, great low-light capture, and touch control LCD make this camera user-friendly and very effective. One of my biggest pet peeves with cameras is when you take a picture outside and it is too bright to even see through the viewfinder. The Panasonic LUMIX FZ80 doesn’t have that problem. Even in bright sunlight, the viewfinder shows clearly. An in-camera USB charger makes charging very convenient. Do NOT get confused and think this is a digital camera; it is not. It is, however, like the old school Polaroid cameras where you take a picture and then it prints out for you just seconds later. You just get what you snap. How many times have you needed a picture for a project and realized you didn’t have one? I can’t count how many times I’ve needed a picture of one of my kids for a project and had to upload one to Costco. Then I have to remember to actually go and pick it up (#momfail). I love the thought of having actual photos to put up on the fridge, or have in my wallet, or ready for that project. I read of one woman who took her Fujifilm camera to Africa and took pictures of the locals around her. Then she handed the pictures to them just seconds later. For some, it was the first time they had seen themselves. So cool! Unlike the Polaroid version that gets very poor reviews, this Fujifilm Instax Mini gets great reviews and is even less expensive. Keep in mind that film does not come with the camera purchase. But you can purchase a twin pack, with 20 sheets. 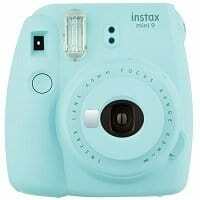 While I may not end up getting the Instax Mini Instant camera for my aspiring kid photographer, I am sure that the Fujifilm Instax is going to be at the top of my holiday wish list this year. Whether you’ve got an amateur photographer or simply a teenager or tween who wants a camera, here are a few good budget options. Take care of your equipment. You can’t take good pictures with a scratched lens so protect it and clean it correctly. Use a tripod. It is a lot easier to take a good picture when you are beginning if you are anchored to a tripod. Take your camera with you everywhere. If you don’t have your camera with you, you will miss on a lot of good photo opportunities. Use online resources such as youtube and flickr. While it’s a bit more expensive, for my aspiring photographer, I’m going with the Canon Rebel T6. Hopefully, by choosing something she will have to take more time to learn with, it will show her I’m willing to invest in her chosen craft. Not only that, but it’s a camera she can grow with as we can purchase an additional lens at Christmas or for her next birthday as needed. With a great camera, she just may be busy enough taking pictures of her friends and those things around her, it may just distract her from wanting a smartphone! 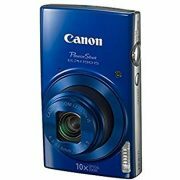 If your 11 or 12-year-old wants a camera and you don’t want to spend money on an expensive camera, I’m recommending the Canon Powershot ELPH 190. This camera isn’t going to be nearly as good as the DSLR cameras we have recommended, but not every kid is ready for a DSLR. This ELPH 190 is a good way for your child to get used to a decent camera with a budget under $200. I am so excited to get a camera! This was so so helpful! Thank you!